4.5" H x 6.5" W 16oz. 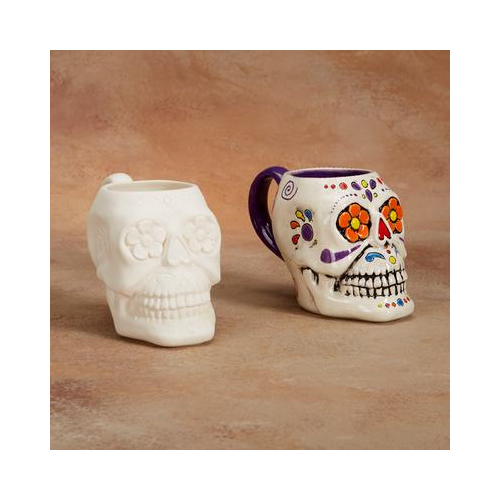 The Sugar Skull Mug is perfect for Dia de los Muertos, Halloween, or any other time of the year! The face contains lots of detail and fun shapes like hearts and flowers, making it simple to trace and add color. 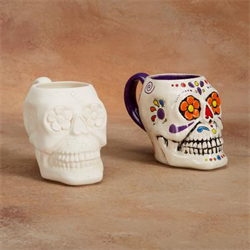 Great for kids and adults to decorate, and is an adorable piece in which to serve your favorite seasonal beverages.